I’ve had my share of projects that didn’t exactly go as planned, or ones that I’ve had to really pull out the stops to save. But I lead a relatively craft-charmed life, really. I’m not trying to be cocky. A combination of dumb luck and excessive preparation for new tasks usually leads to a positive result. 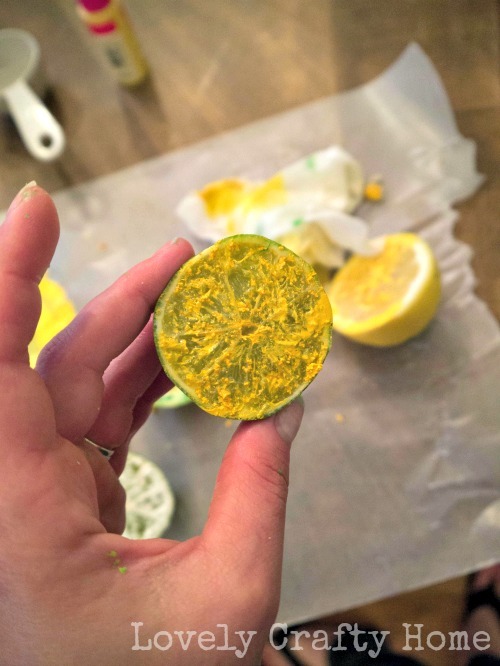 The acid of the citrus literally repelled the paint and made it chunky and weird. Seriously, I have no idea how other people have successfully done this. 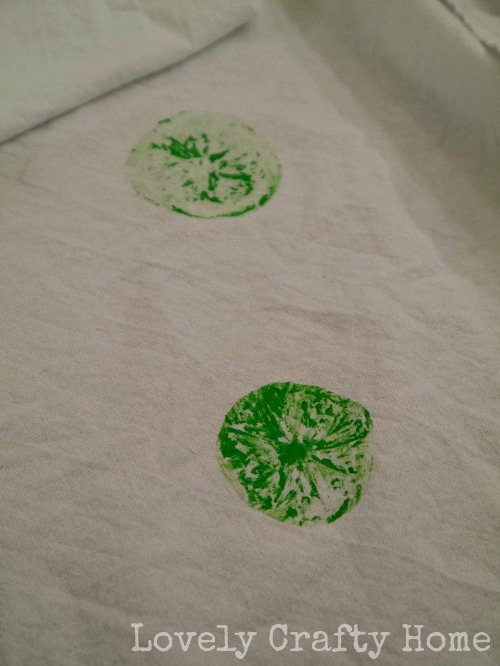 I’m just glad I tested on paper first before ruining a perfect and unsuspecting tea towel. I was able to get a few decent stamps – mostly by accident – but I was about to throw in the towel (probably would have done the towel a favor) on this when an idea hit me: maybe if I coated the surface with something to seal it, it could work. So I got out my trusty Mod Podge and gave that a go. This was really a long shot…and by the looks of it immediately upon application, also a fail. 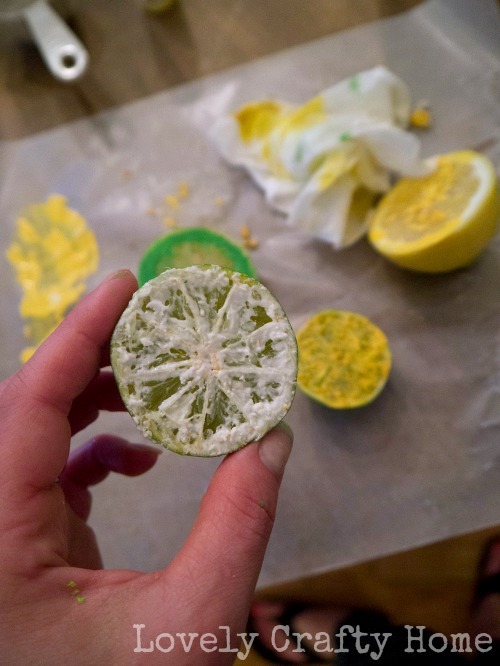 But I let the lime sit overnight to dry. I walked past my dried up citrus project dozens of times over the next few day, glaring at the cut fruit like a betrayal. Et tu, fructus? 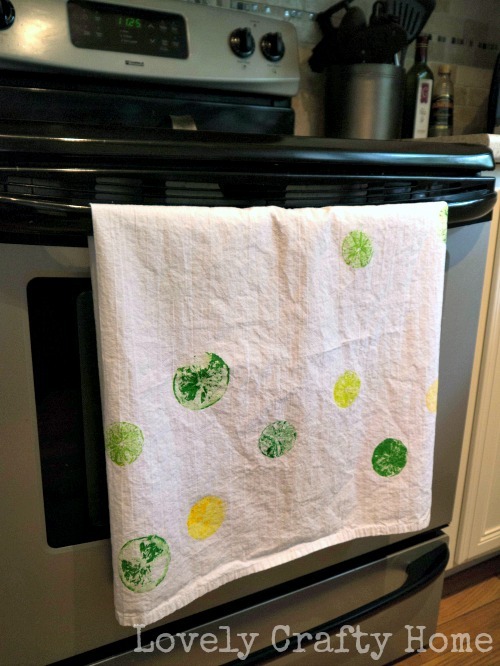 All I wanted was a summery dish towel! Much to my surprise, the Mod Podge did help. It wasn’t perfect, but I’ll take it. Let’s not look so closely. It’s more like an abstract interpretation of citrus. What do you think? Fail-worthy? Passable? 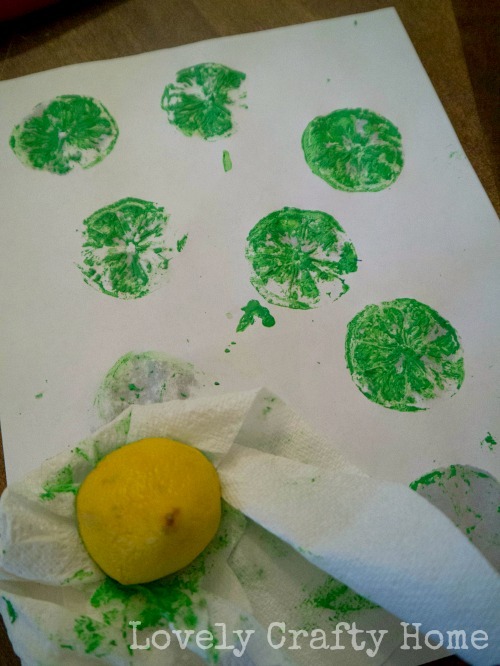 Have you ever attempted the citrus stamp? Whole Life Challenge Recipe: Fudgesicles! I think it looks great!!!!!!!!!!! I usually love your posts but I get the feeling this was an old draft you’ve been holding on to. I could be wrong but wasn’t this your kitchen in the home you sold months ago? Please forgive my prior comment. 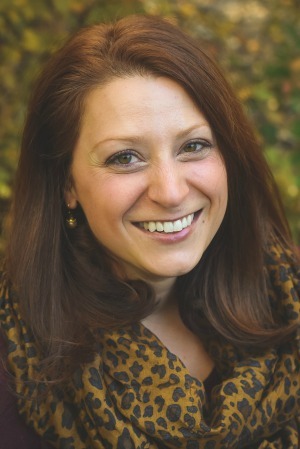 I was confused with your post and another blog post that I saw recently. 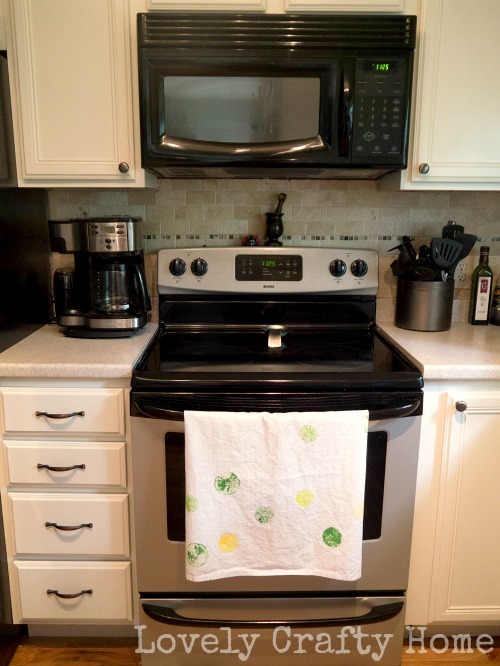 Your kitchen is almost identical with this other person’s former kitchen and you both attempted the same craft idea! Again, so sorry about that!